It’s that time of year again. It’s dark, it’s damp, it's cold outside and everyone is itching for a change of scenery. Don’t despair. This 23,000 square foot trampoline facility is worth a visit, even if you're a ways from Olympia. With 60 trampolines, including angled wall trampolines, launching decks and lots of different activities for various ages, kids will be flying high. Check out the KidJump for ages 6 and younger from 9–10 a.m. Monday–Wednesday and Friday–Saturday; there are also family nights, extreme dodgeball, a ninja obstacle course and much more. A Federal Way institution, Pattison’s offers roller skate training sessions for beginners, and a discount family night on Wednesdays and Sundays, 6–8 p.m. ($6, including skate rental). You can also up for their birthday club and receive one free skate admission. The community center boasts a swimming pool that’s worth the drive, with a lazy river, two-story water slide, and interactive play structure. Check out Come Play with Me, an indoor play gym at the community center Monday and Friday mornings. Federal Way’s indoor trampoline park offers a fun, clean jumping environment for kids. Nets separate groups by size to keep everyone safe. The mezzanine area for those watching the fun boasts comfy seating and free wifi. Open daily, and late! This indoor play place in Puyallup — a sibling to the Crossroads Bellevue WiggleWorks location — is a soft-play indoor play space designed for children under 48 inches in height, and a Golden Teddy Award winner. Little ones love to run around, chase balloons, swing and wiggle away. Parents love wifi and snack area. Best of all, it's open daily. A huge maple floor sets this 1960s-era Puyallup roller rink apart from the pack. Tiffany’s offers Family FUNday every Sunday afternoon, $2 Tuesdays and other special events and discounted times. A fun inflatable indoor play space in Tacoma, Bounce E House features a giant obstacle course, slide, toddler play area and more. It has open play Monday–Friday for all ages (check times before heading out), as well as birthday parties; check the Facebook page for other sessions. Pump it Up was founded on great birthday parties, but has plenty of drop-in fun options as well, like Pre-K Open Jump on weekday mornings and a character jump where the whole fam jump around with famous character visitors! There are also monthly special events for both children and families. A STAR center pass lets you take advantage of kids’ activities in the playgrounds, adventure course, discounted classes, a fitness room, lap and family swims at two offsite pools and discounts on party packages. If you have a larger family and think you might go often, give them a call to see if a family pass is a better deal for you than paying individually (253-404-3939). The Tacoma play center’s Jungle Gym Park is a great place for kids to expend energy on the large climbing structure, monkey bars and more. Open seven days a week (and late!). This gymnastics training gym offers open gyms sessions for different age groups. Check the online calendar for times when the gym has sessions. Drive them up a wall — a rock wall, that is. This climbing gym, formerly Warehouse Rock Gym, invites kids ages 6 and older to climb in the bouldering area. Kids need to weigh at least 30 pounds to wear a harness and climb in the roped area. Day passes for youth cost $15; more for adults. Check the website for climbing times. The concept is pretty simple: Take a playground and put it indoors! This playspace, great for kids over 10 months and up to age 4.5, is available at the Kent Commons Gymnasium on several mornings a week during the winter months. Only $2 for a day pass; $1 for siblings (max 3 kids per adult for supervision reasons). Drop by this spacious Kent gymnastics center for open play Wednesdays and Saturdays. A current schedule of play times is available on the website. Check the calendar of your local library for free Play to Learn sessions, a time for fun activities, parent information, and learning materials to take home. Adults stay and play with children, ages newborn to 6. Visit your library for traditional story times and special events, too. An awesome "creative reuse" center in downtown Tacoma (they have a mobile Tinkermobile, too), this spot has everything you'll need for uber-creative projects. They also offer classes and workshops. This contemporary ceramics studio opened up a few years ago inside Tacoma's Throwing Mud Gallery. Children are welcome to come with an adult to paint a keepsake ranging from plates to piggy banks to figurines, and pick up the glazed and finished masterpiece seven days later. Calling ahead is recommended especially for groups of four or more. At this fun paint-your-own-piece studio in Lakewood, kids can choose from a variety of pottery pieces to decorate. Pieces are glazed and finished for pick up a week later. Open Tuesday–Sunday. 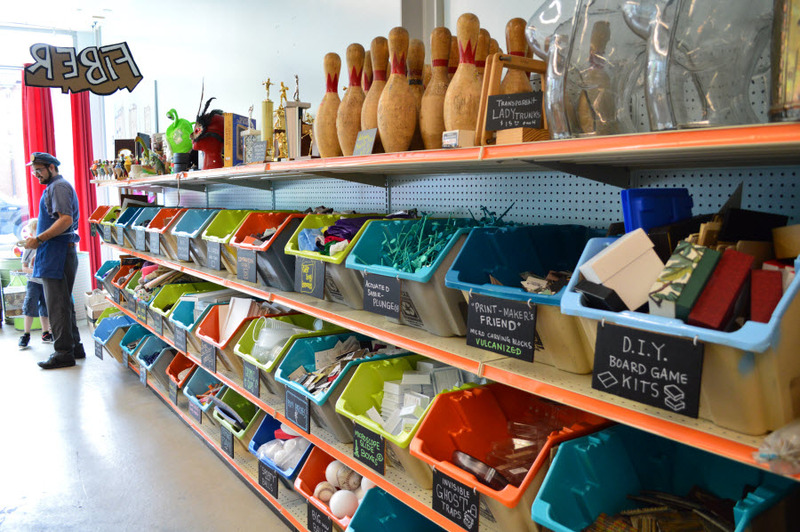 Michael’s Arts & Crafts has a changing lineup of easy but absorbing craft projects, classes, and events. Teachers at the Lakewood store are flexible. They often teach multiple classes and can change the craft at the request of children in attendance. Call the store or check online to find out what’s coming up. Longtime Olympians probably remember Wind Up Here, a toy store that closed a few years ago. Saddened by the loss, local business owner Paul Shepherd opened up Captain Little in its place. Follow on Instagram for events and more. Tacoma's children's museum has a warm and modern downtown spot with creative playspaces and an attractive pricing policy — pay as you can on any day. It's open Wednesday–Sunday, 10a.m.–5 p.m. Check the website for special programs including Play to Learn at various locations. This maritime museum explores the seafaring and fishing history of the Gig Harbor area. Museum programs include hands-on learning opportunities, family events and school field trips. Museum volunteers are currently restoring a 65-foot purse seiner called the Shenandoah. The museum is free for all through the end of 2018; read our review. It's true that kids can't touch many of the vintage-car exhibits at the LeMay; but they will adore racing the slot cars and building and racing the pinewood cars in the Family Zone. Check the events page for fun workshops and special shows. Don’t ignore Trek during the rainy season. The Cheney Discovery Center is packed with interesting natural history items for kids to examine, from animal pelts and teeth to puppets and coloring projects for little ones. You could happily spend a morning here. And don't miss the epic Kids' Trek playground, also open all year. 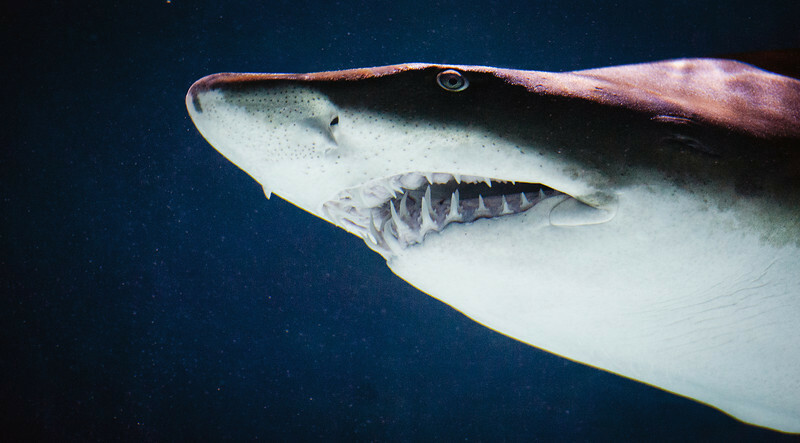 The zoo is a great place to visit in the rainy season, with a number of indoor spaces (including the new tropical-feelingamazing new Pacific Seas Aquarium) and fewer crowds. If you have younger kids, consider joining one of the zoo's fun clubs, such as Critter Club, which meets on occasional Thursdays and Fridays. With eight galleries and more than a hundred interactive exhibits, Olympia's awesome children's museum offers interactive play for young children, including Snug Harbor, a soft space for infants and crawlers with an educational focus, and an amazing Outdoor Discovery Center, with a driftwood building area, an interactive public art piece and more. Tip: Every first Friday from 5–9 p.m. the museum offers pay-what-you-can admission. Those rain clouds won't stop you from seeing the stars with the shows at the Science Dome of Pierce College at Fort Steilacoom in Lakewood. Designed for ages 3–12, special children's shows get your kids up and moving while teaching them cool facts about the night sky. Check out their online calendar for showtimes and descriptions. The history of South King County is on display at this small museum tucked into Auburn’s Les Gove Park (combine it with a trip to the park, which is awesome). It’s hands-on fun for just a couple of bucks. Free admission every first Thursday and third Sunday Check website for times. Located in downtown Tacoma's Museum District, this gem easily pairs with trips to other museums, such as the Children's Museum of Tacoma or the Washington State History Museum. Take a tour of the galleries, then proceed to the Open Art Studio where kids can experiment with good art supplies and work on projects suggested by the museum. Tips: Paying museum admission is not required to visit the art studio and the museum is free every Thursday from 5–8 p.m., and also now free for kids 18 and under every Saturday. Get the kids into history! Play games on touch-screen computers in the Great Hall, do a scavenger hunt and check out the giant model railroad. Tuesday–Sunday, your family can play Museo, a hybrid of scavenger hunt and Bingo. Visit the History Lab Learning Center for hands-on, interactive exhibits. Insider Tip: Get free admission for partnering museums through Pierce County Library; just ask! Tour the domed 1928 building in Olympia that’s at the heart of Washington’s government, learn about the state’s legislative system, and visit the Public Galleries. The hour-long tours depart daily. Take a 45-minute guided tour of Olympia’s oldest residence, built in 1860, and find out how one family of that era lived, worked and played. This is one for families with older kids. Check their events calendar for current schedule. Take your plane-obsessed child to the Olympia Regional Airport to view several beautifully designed vintage warplanes, such as the shark-snouted Hawker “Hunter,” and a large collection of model aircraft, too. The museum is open Wednesday–Sunday all year, and on Tuesdays during certain times of the year. If you’re feeling particularly ambitious, make the drive to Seattle to visit attractions and museums that feature exhibits you won’t find anywhere else in the state. See our complete Seattle rainy-day list for many indoor play options. Editor's note: ParentMap staff contributed to this article, which was most recently updated in November 2018.